When the kind people at Spreadshirt saw that our shop is raising funds for Invest in ME they took it upon themselves to upgrade us to a premium account for free. 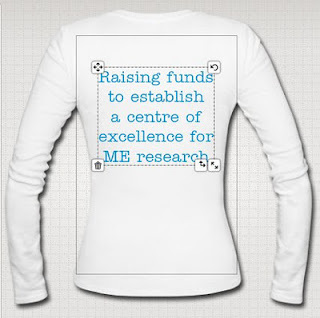 This charitable gesture means we can now offer you the opportunity to create your own products using LDIFME designs. The new 'Design Your Own' Shop means you can choose any item sold by Spreadshirt, in any colour, and add a LDIFME design, as well as other designs and text of your choice. You can choose from a selection of miscallenous free* designs from Spreadshirt as well as upload your own images or photos. As with all Spreadshirt Designer Shops, 20% is taken in commission which of course will go directly to Invest in ME. So now you can size and place designs yourself, and customise items to your own individual taste and style - or maybe that of a friend or loved one? If you wish to purchase a gift from either of our Spreadshirt shops for Christmas, your order must be placed by December 17th to guarantee delivery. 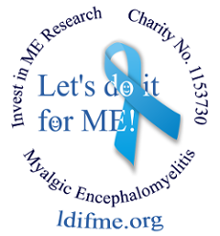 So check out our new shop and/or revisit our original shop for some ME related goodies which will raise funds for Invest in ME and the UK centre. Also visit Carmel Hillary's Cafepress ME Awareness shop for a great variety of ME products, featuring a wide range of designs. 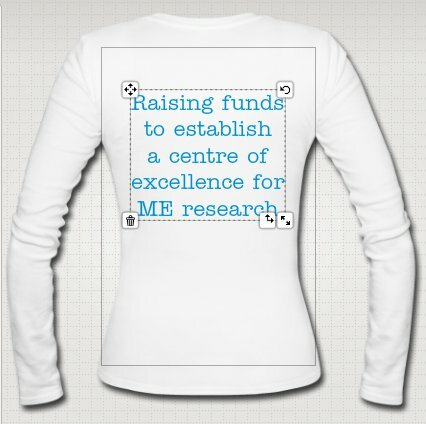 All funds from Carmel's shop also go directly to Invest in ME and towards the UK centre. For further ME awareness and fundraising items see our Christmas Gifts for ME post. * Free means no commission is taken by the designer, you will be charged the standard printing costs by Spreadshirt.